This is a great topic for an article. It is refreshing to hear about recruitment which places a value on the desire to learn, as opposed to a list of established skills. Learning and testing are inextricably linked, so chances are an enthusiastic learner will possess many qualities which will help them in a career in testing. My company have also taken steps to recruit at more junior levels. This isn't just a case of giving people a chance. It actually makes great business sense too. In addition to the benefits of loyalty and re-invigoration of the existing team which you mention, it is an economically sound strategy. The cost of recruiting at senior levels is greater and the pool of talent is often narrower. Promoting from within at the more senior levels creates vacancies which can potentially be filled internally too - a kind of chain reaction occurs resulting in a need for junior recruits. Our experience is of some fantastic, highly motivated and intelligent graduates joining us and learning really quickly. They progress to more senior levels rapidly. Because we have specialists in a range of testing and assurance services, the graduates are exposed to many different skills and technologies. Its almost exactly twenty years since I took my first graduate role as a tester. I'm glad you are giving people the opportunity I had. I'm sure they will flourish and develop into great testers under your expert guidance! It's nice to hear that their are diverse recruitment strategies in place at other organisations. At this stage, we haven't hired any graduates. All of our juniors have been people switching career. But I believe all the same logic applies. Could you elaborate a bit more on what you mean by a "junior" tester? e.g. with someone with no experience at all count? When hiring junior testers would you compare someone with very little work experience (e.g. fresh out of uni but did a year's experience in marketing) to someone who has spent years as a salesperson? Both would be considered "junior" in the testing field. P.S. Seriously though, digging your posts. I use them as a constant point of reference to learn ever since you started this blog. I'm about to add a clarifying statement at the top of the post. "By junior, I mean a person with no experience in testing, regardless of age or other work history." By this criteria, yes, I would consider both the people you name as junior applicants. In cost terms, is cheap to contract a junior with minus time/learning versus than contract a senior with more experience? If the answer is yes, how is the balance between they? Is it cheaper to hire a junior? If you only look at salary, yes. If you consider the cost of training, probably not. However, my motivation to hire juniors has not been financial. It's the reasons I describe above. One pre-requisite for employing junior testers though is a somewhat stable team. If the team is overwhelmed as it is, throwing a junior person in is a recipe for disaster for everyone involved. But, as the old saying goes, if you want to master something, teach it. That way the experienced people have to question their way of doing things again resulting in deeper understanding both for the established and the newbie testers. About loyalty you wrote: "It's growth that makes a role exciting, and creates loyalty between an employee and their organisation." I agree with the first part. Growth and learning will tail off at some point though so some junior people will jump ship. I believe that it's neither possible nor desirable to have people on a very steep learning curve all the time. Depending on the personality type the question is not if but when someone leaves. But that's OK as well if both (junior tester and manager) got out something of the deal. What I learned over time though that loyalty is a relationship between people and not between people and an abstract construct (a company/organisation). They stay because they believe that there is someone who cares about them. If I want a long term investment and grow a team I'd go for a junior tester as well given that senior testers are already in place. If I need someone right now, I go for a contractor. If I need someone in a month or two I go for a senior tester. I once declined to grow the team when my boss offered to pay for more testers as we needed to stabilise. Several new people had started and needed to grow and come into the fold (get all that tacit knowledge without which the team couldn't function). Once people felt comfortable taking on projects with no or only a little hand-holding we recruited more. I completely agree that hiring juniors is a key part of a balanced recruitment strategy. Of the team I manage over half of the team came to TTC as junior testers, and in my subjective view they are some of the best testers that I have had the pleasure to work with. In my experience recent grads provide a thirst for learning, ambition and technical understanding that is hugely valuable to an organisation. And "senior juniors", those who have significant work experience and are changing careers, provide a maturity, work ethic and appreciation that is especially useful on challenging projects. On loyalty, while I agree that juniors often have an extra sense of loyalty due to the fact that you "gave them their break", it's important to remember that you can never take this loyalty for granted. I believe you have to earn team members loyalty everyday by providing them with a positive working environment and the opportunities to grow. There does also tend to be a business benefit to hiring juniors, even after you take into account increased overheads (e.g. training), but IMO if you're treating the hiring of juniors as a financial decision then you risk overlooking the true benefits of injecting fresh blood into your team. Needless to say, you should also always pay your juniors fairly. PS - Experienced testers are also a hugely important part of team mix as well. You need the Katrinas of this world to coach and mentor others! I enjoy reading your posts. They have wisdom, story, and personality. I feel you put your good heart and soul into writing. I'm glad that I initially misread the message of this particular post. In its original text it seemed to me that you personally choose junior (and young) applicants over older people, and you promote such an approach - "Why /you/ should hire..". Now a few clarifications have been made, and I see that it's about the attitude, not the age. I wholeheartedly agree to that, and let me back it up. Now, I'm also tempted to comment on the points you're making. First, it seems to me that in the current presence they're the ideas you are yet to test. The hiring, the onboarding of "juniors", integration into your team, and flying together for a while will take some time before the results can be reviewed, and it will still be a sample from one context. With the results confirming these initial ideas the latter might be considered as a good heuristic. Second, I can relate to my own experiences in hiring and building teams. I confidently back up your Attitude heuristic seeing it working out well in a variety of contexts. I've seen examples when Challenge heuristic brought unhappy results, as it greatly depends on the personalities, even more than on the context. Some "seniors" might need extensive coaching themselves before letting them practice on live people. I always put a hope on Loyalty heuristic but, realistically, this "junior period" will take how long? People need a room to grow. They also desire to be acknowledged, and at work it usually means a promotion. And there's financial aspect. Having said that, I still use Loyalty heuristic but not as an absolute criteria. A loyalty within clear and achievable goals and timeframes. I love the points you're making for Potential. In fact, I stole one into my collection of quotes. Thank you for publicly setting an example! Great post! Hiring junior testers is key to my company's business model. We have had great success building teams with senior leads, testers with some experience and junior testers with no testing experience. 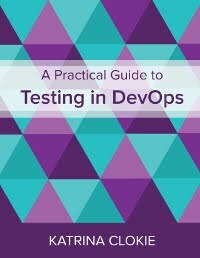 I am not aware of any college degrees in software testing or QA, so we have spent a lot of time on a process to identify who would be a good software tester. To summarize briefly, good technical, critical thinking and communication skills, curiosity, passion for quality and tenacity are all skills we look for in hiring junior testers. And yes, junior doesn't imply age, just experience in software testing. Finally, I agree that having junior testers as part of a team helps create a diverse team. I have worked in the software industry for almost 30 years. While I love to mentor other team members, I often learn a lot from junior testers. Different viewpoints make the team stronger. Very interesting post! I can say that working with juniors is very good for better project results and team perfectioning. I was glad to meet one in my previous job. He brought pure workforce, up-to-date techniques, and very useful, different and valuable points of view when testing to our team. Thank you for broaden and widen the gamut of good thing that come with a junior tester. Keep up the good work. We all appreciate your initiative.